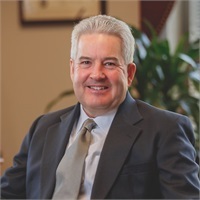 Kenneth began his financial planning career in 1990. His expertise lies not only in his comprehensive knowledge of Federal employee benefits (CSRS/FERS, Military & VRS); he is also the firm’s Long-term Care planning specialist, having received his Long-Term Care Insurance Strategist (LTCIS) designation from the Center for Senior Studies in 2003. Ken has proven to be a valuable resource to Federal employees affected by the Federal Erroneous Retirement Coverage Corrections Act (FERCCA), and he has extensive knowledge of the many nuances of Social Security benefits. Having proudly served his country in the United States Air Force, Kenneth’s time on active duty encouraged him to build a strong knowledge of military benefits. This knowledge makes him uniquely qualified to work with Federal employees who have military service and/or spouses in uniform. Kenneth and his wife Christine reside in Providence Forge, Virginia. Their son Christopher successfully owns and operates a computer business and film production company, and is recently engaged!